Alaska has been, for quite some time now, and always will be a place of sentimental value to me. Moreover, why wouldn’t it be; apart from the beautiful sights in the different parts of the state, it’s also home to one of the most beautiful places in the world. 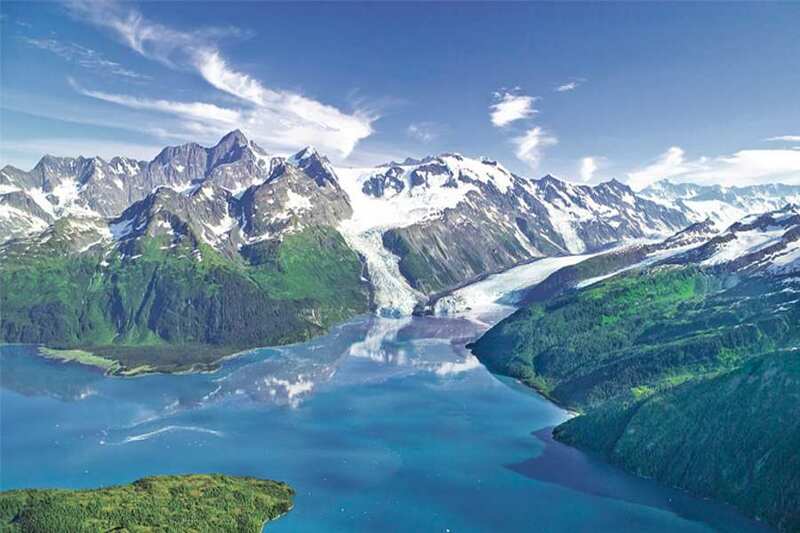 Surrounded by the beautiful southeastern Alaska Rainforest, the amazing Glacier Bay stretch, according to the famous Naturalist John Muir, is a place unspeakably pure and sublime. A UNESCO heritage site that provides one of the most premium kayaking experience you can imagine. This trip, provided one of the most memorable experiences for me, personally. There are literally too many activities to go through. Bird watching, paddling, hiking, camping and visits to the numerous glaciers that abound the water including my personal favorite, active glaciers that you actually watch as they pop and calve. How much better can it get? 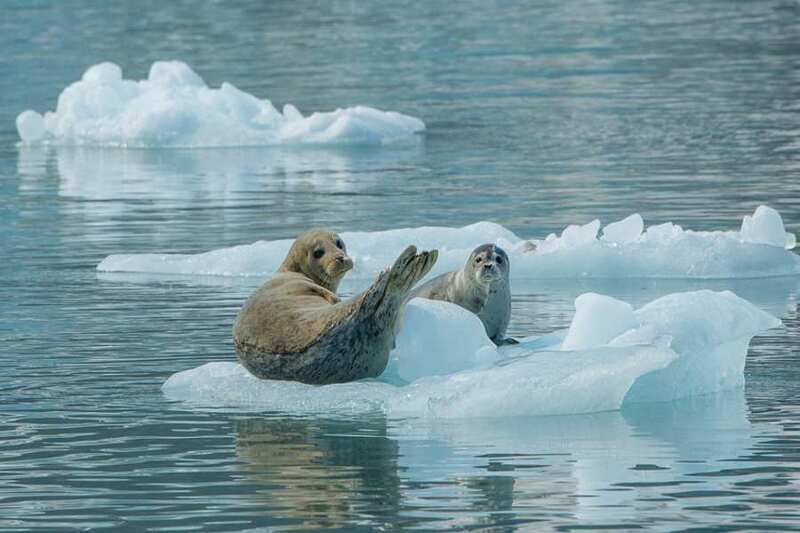 I get it; I’m going on and on about how the Glacier Bay is one of God’s greatest creation, but you don’t see it yet. Well, to really understand the reason behind my love for this bay; you would have to know and understand what led to the trip and how it went. I had always wanted to go on a trip and paddle Alaska for as far back as I can remember. An adventure, not the random boat in the sea type, the one. The perfect one. The ideal challenge to honestly feel lost in the essence of nature. I knew exactly what I wanted; the only problem was how and where to get the kind of thrill my heart desperately needs. I knew North was the direction but where exactly. That was the problem. Why? I knew what I wanted. I wanted to paddle my kayak next to whales, experience the calving of an iceberg in water, watch as animals do their thing along the water. I had been on a few trips and if I do say so myself, some are quite magical and memorable. I guess I wanted something to knock me out of my kayaking seat, something to show me nature in a totally different light. That was settled, some choices in and out of the country came, Alaska checked every one of my boxes, but where in Alaska? For people that want to go on this trip, it would be helpful to you like it was to me to read enough about the area. Find people that have gone through the experience and paddled the different spots of your chosen area to really get a glimpse of what to expect in each part. This is so you can decide where to go in relation to what you want. 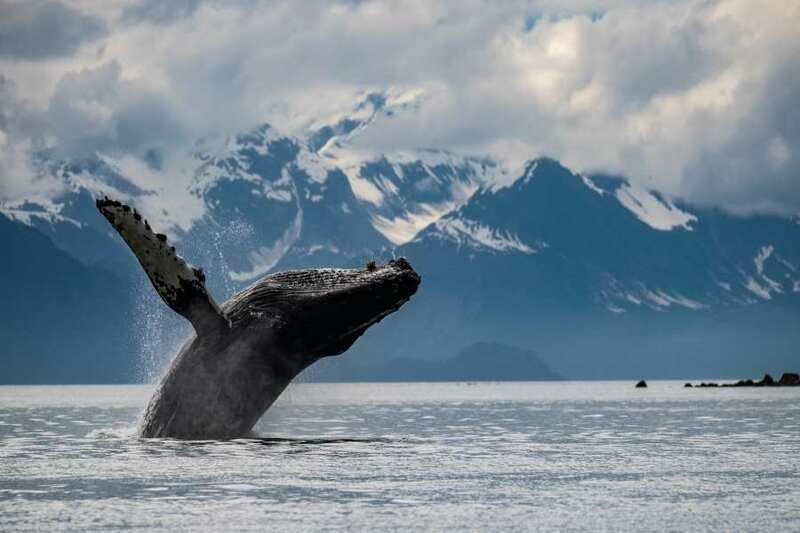 For me, Glacier Bay provided the best combination of natural and wildlife beauty. 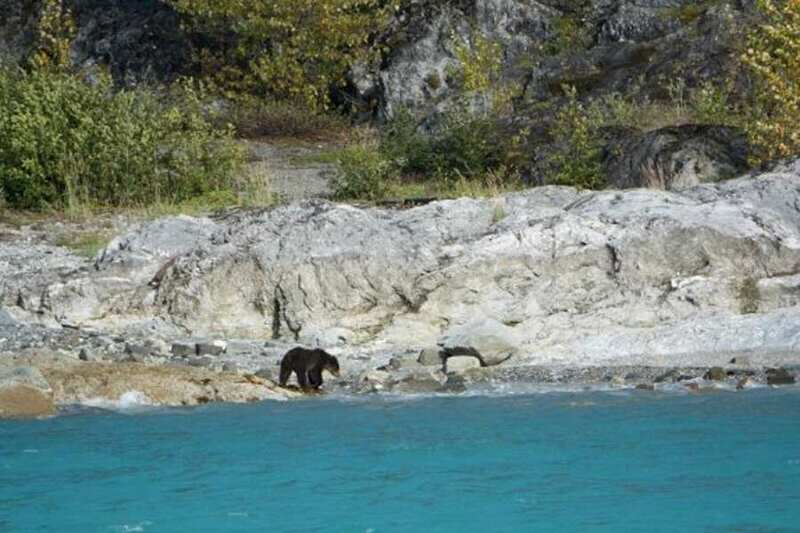 Home to a variety of animals in their numbers, Glacier Bay boast of a secluded and serene environment. 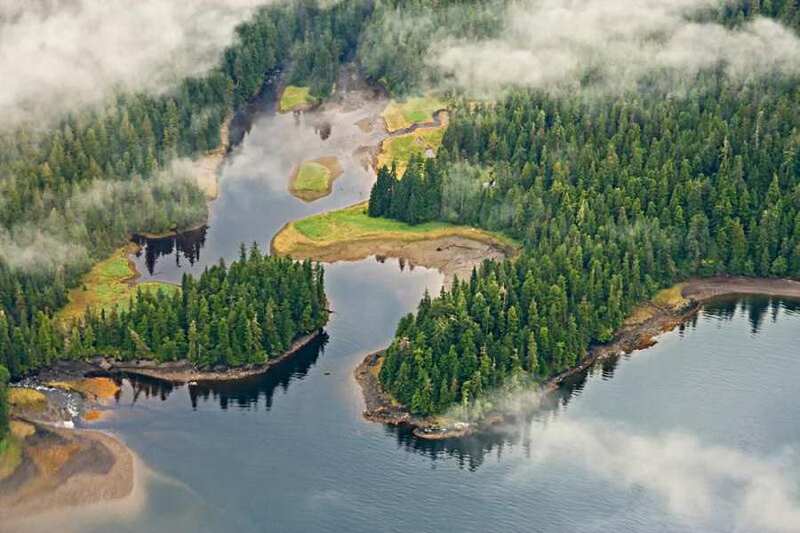 Its jungled nature provides a rare chance to see land animals like bears, moose, mountain goats and the rest of the family from the comfort of your kayak while you are waiting to meet the whales, sea lions, otters at the south end of the east arm. The next hurdle to cross was the starting point which I decided would be Gustavas because there are so many options to choose from. A National park is available to camp, a settlement of people, and stores that deal in all sorts, from food provisions to gear; in case you ever run out of or need to get more supplies. Now that those have been sorted and gotten out of the way, I spoke to them at the park service of the Glacier bay to find the how and when the trip would be possible. We settled for June 22nd because middle June is one of the best times to be on the water, basically anywhere from June 17th to July 1st, not exclusively but in most cases, so planning around this time seemed like the best choice. Next on the list are the things needed to ensure a smooth trip. First, I crossed the usual tent, camera, sleeping pad, food, first aid kit, clothes, camping gear, and cooking equipment off the list. 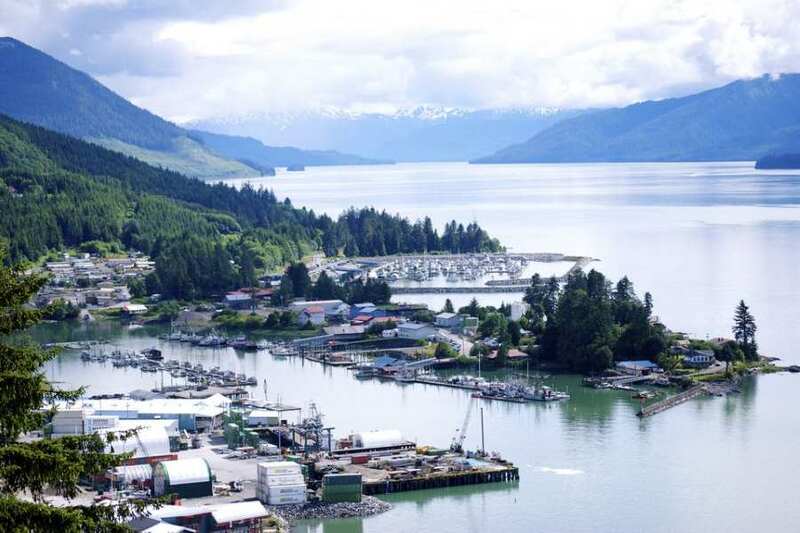 Because its Alaska, I had to put into consideration the peculiarities of the state. A water purifier, dry bags, some warm layered clothing, rain gear, a hat, sunglasses, sunscreen, gloves and a water bottle for clean water. Mandatory bear canisters are given to all paddlers by the National Park. The major challenge I faced here was selecting the perfect kayak for this trip because I realized I was going to paddle on the icy seas and camp out. So I would need enough rigidity and flexibility, not only to survive the delicate nature of the water but also light enough to move from point to point if I needed to. 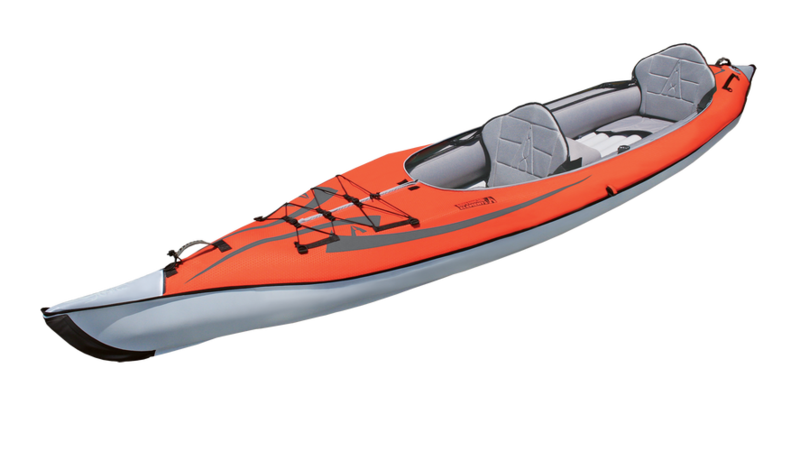 It was a close battle with the folded kayak, but the inflatable kayak won because of its affordability, rigidity, and flexibility needed. So I chose the Sea Eagle Explorer, it hasn`t let me down for a moment on this adventure. Day arrived, and I was up as early as 5 am in the morning after arriving a little late and behind schedule via a small plane to Glacier Bay. I woke up early enough to meet up with the boat that leaves with tourists, kayakers, and hikers to go up to the bay. 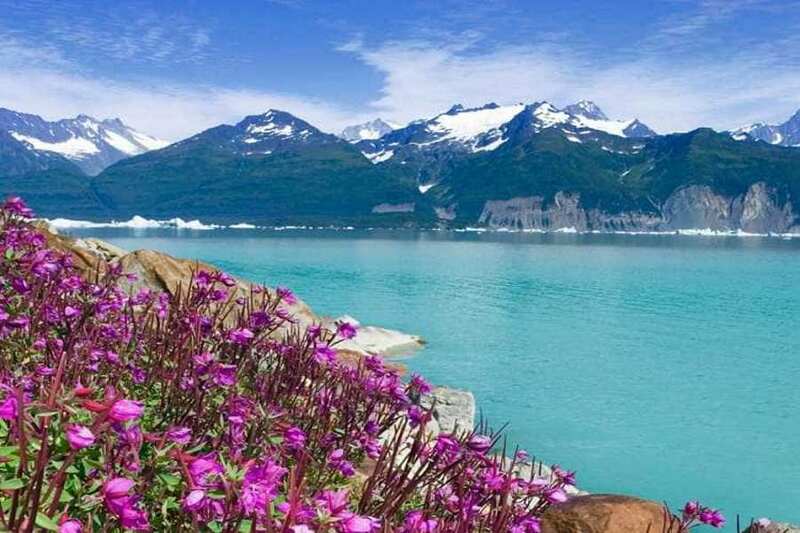 Almost immediately, you get in the mouth of Glacier Bay; you are greeted by a fantastic view of the Fairweather range showing mountains of incredible peaks. The drop-off and pick up spot for kayakers was either of two places, which according to the guide changes yearly, Mt. Wright in the East and Queen on the west end, where I was dropped off. It was on, I giddied up my kayak, and it was time to roll and not long after some intense paddling, I was rewarded with the view of whales chawing down some fish with some sort of advance fishing method which I would later discover to be called bubble netting. 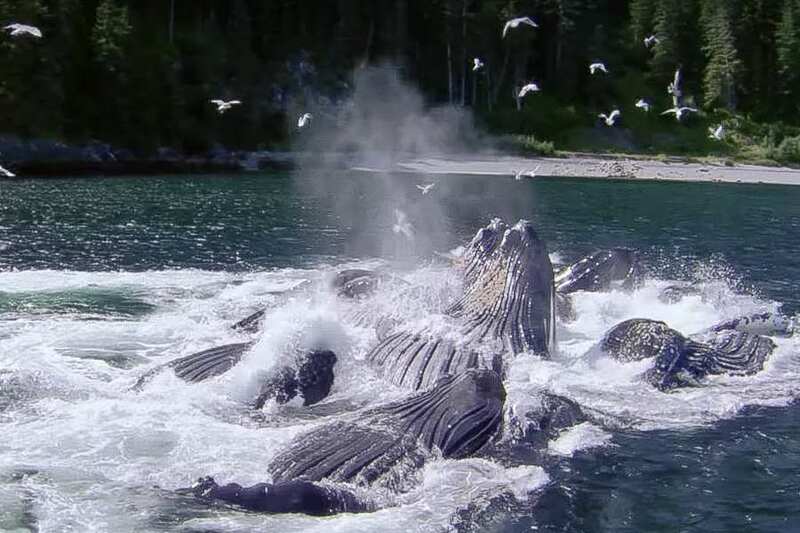 The whales would blow a net of bubbles and then, in almost a rehearsed manner, jump out of the water to recover their food. A breathtaking sight to behold which is much more adorable as long as you make sure you don’t find yourself in the middle of the drama when it goes down. Paddling eastward from my position, I was able to really appreciate the abundant wildlife that is exclusive to the Glacier Bay. Bears looking for some tasty dinner, mountain goats climbing back and forth the sloppy cliffs and seemingly enjoying their predator-free life. I was even lucky to spot that had been howling almost through the entire length of my journey. Just ahead of me is the cutest little family of otters, mindlessly sleeping and wrapped up each other’s arms on the water. 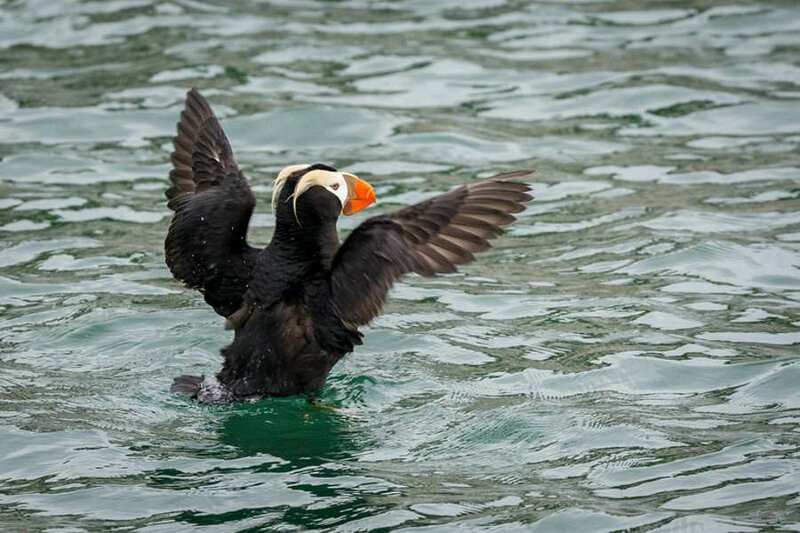 Seabirds made my kayak dive practice and would often surround me and dive in search of insects for food, then glaciation happened right in front of me. Areas once covered with ice are exposed and the moraines, the rocks, and debris widen, allowing more opportunities for hiking and climbing to get a better view of the park. After some time paddling, I was getting hungry and decided to camp out. The difference between a trip like this and your average weekend paddles is that the sweet luxuries of food are not easily accessible and you make do with what you pack. Glacier Bay can be quite rough, and paddling your way around takes its toll on you; but after a much-needed rest and food, I was quickly back on the sea. Overall, it was a wonderful experience. One I would treasure for years. Was it perfect- Heck no- it was a rollercoaster situation of different emotions of anger, awe, joy and occasional frustration. From the roughness of the sea to, navigating the icebergs and the usually rainy and overcast weather. Was it perfect – Absolutely- and I would do it over and over again if I could. It indeed was the trip of a lifetime. Why? It incorporated everything I ever wanted in one tour. I paddled with whales, floated on icebergs, commuted with otters and dined with bears. I saw a lot of birds, eagles, and moose. At first, I was scared the bears might be a problem when camping, but they turned out to much more into their own thing and paid no attention to me. I had the perfect chance to know what it really feels like to be alone in the world and actually like it. To be one with nature and see Mother Nature in a totally different light. From paddling, camping, sightseeing, bird watching and feeling time pass much more slowly, there’s never a dull moment on the Glacier. It was truly the trip of a lifetime, no television, Facebook or Instagram, cars, traffic or news. Just me, the silence and the world in front of me. It took a lot of preparation, planning, and sense of adventure but the memories are one to remember for years and years to come.